Graceful, elegant American elm trees; photo by Mike Rollinger on Flickr (noncommercial use permitted with attribution / no derivative works). Native to eastern North America, the American elm tree has been severely afflicted by Dutch elm disease (introduced from Europe in 1941), which has killed nearly all the majestic old elms. 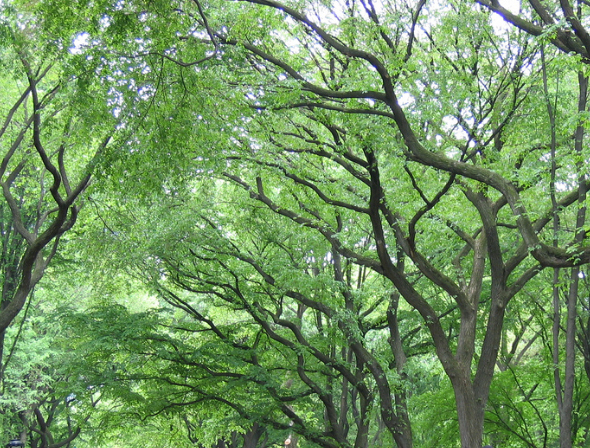 American elms were once the shade tree of choice for gracing town squares and streets. 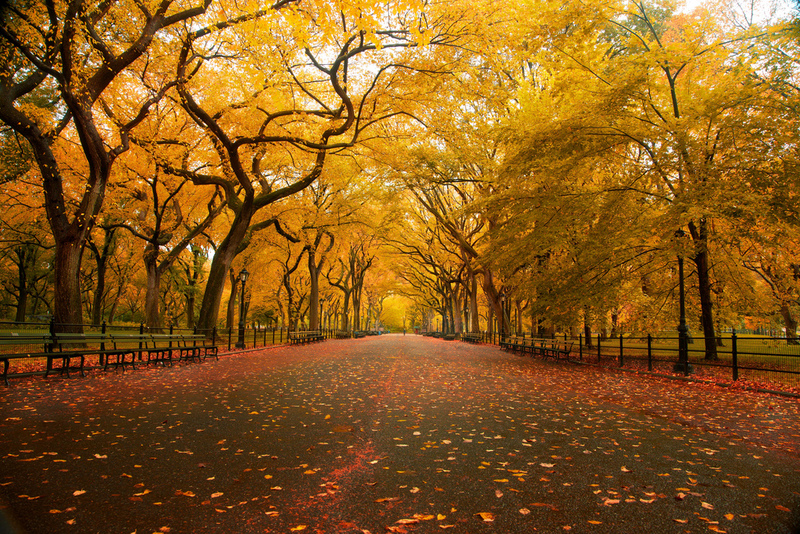 Graceful American elm trees; glorious in golden fall color. Photo by Chris Ford/Flickr (noncommercial use permitted with attribution).